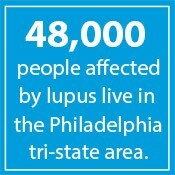 Thank you to all who participated in the 27th Annual Lupus Loop! The 28th Annual Lupus Loop 5K Run and 2.5 Mile Walk to End Lupus Now will take place on Sunday, October 27th, 2019 at Memorial Hall Loop. 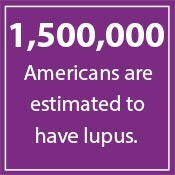 Every dollar raised at the Lupus Loop improves the lives of those impacted by lupus and is critical to advancing the lupus movement! 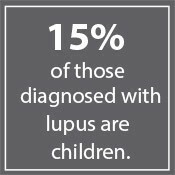 The Lupus Foundation is the only national force devoted to solving the mystery of lupus - one of the world's cruelest, most unpredictable, and devasting diseases - while giving caring support to those who suffer from its brutual impact. The money raised at this event accounts for 70% of our annual revenue, used to provide services, outreach efforts, and research programs to the over 40,000 people affected by lupus in the tri-state area. 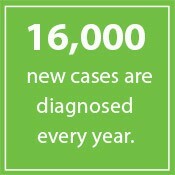 Your fundraising has a direct impact on the lives of those with lupus and the lives of their loved ones, right in your own backyard. Don't live in the Phillly area? You can still make a difference by signing up as a virtual participant, or simply by making a donation. 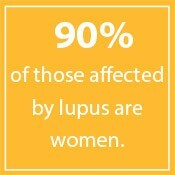 Join with us to show these brave women and men that they are not alone and that together we will solve the cruel mystery of lupus.